This statistic depicts the perception of steroid use by professional athletes in 2014. 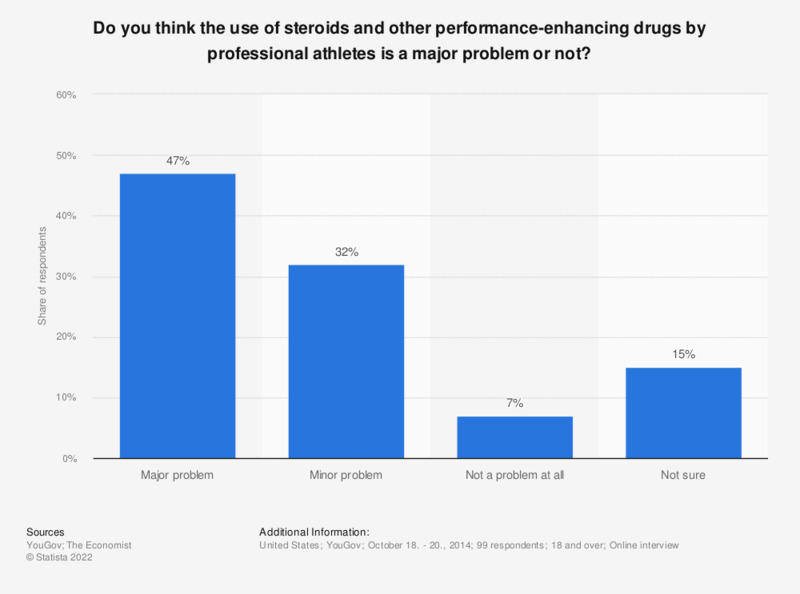 Respondents were asked whether or not they think the use of steroids or other performance enhancing drugs is a major problem. 7 percent of respondents said steroid use is not a problem at all.